Continuing our tradition of showing FREE movies outside at the Humboldt Park Band Chalet in August and September, a special October film has been added to our 2018 Pumpkin Pavilion line-up. 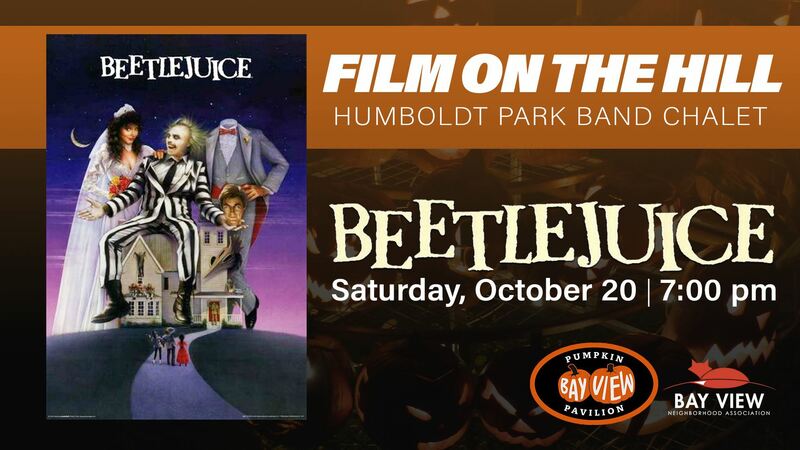 Grab a blanket and bundle up for BEETLEJUICE on Saturday night. Film beginning at 7:00 p.m.